Every January, at the height of the Australian summer, the streets of Sydney come alive with a celebration of the best of Australian art, culture and food at the annual Sydney Festival. Established in 1977, the Sydney Festival is Australia’s largest arts festival, drawing more than half a million people from all over the world to the more than 100 events held over the three-week festival. 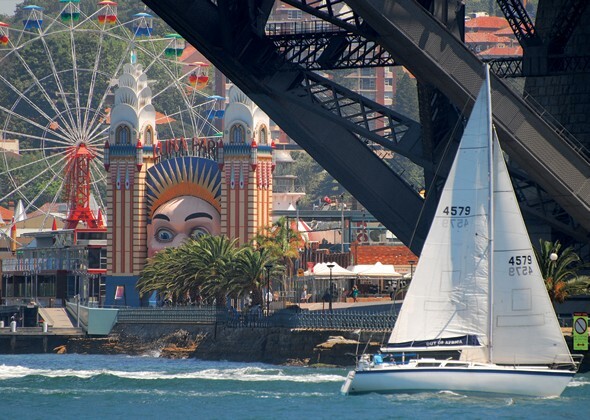 For those considering a Sydney holiday, the festival is an ideal time to visit the city and experience Australia. Whether your tastes run from modern dance and blues to country music and hip-hop, there is guaranteed to be a performance, exhibit, lecture or event that interests you during this incredible festival. Months before the Sydney Festival begins, organizers are hard at work lining up acts to perform at venues around the city, including the Sydney Opera House, City Recital Hall, Sydney Theatre and a number of outdoor venues. The festival always begins with the First Night celebration, although beginning in 2013, the opening night will be known as “Day One: An Opening in Three Acts.” On opening night, the streets and alleys of the city close down to vehicle traffic so more than 200,000 festival-goers can enjoy music on up to seven stages. The acts that perform on this free first night are typically big-name, internationally-known stars, who often perform multiple times during the festival’s run. In 2013, the festivities will take place in Hyde Park, Darling Harbour and The Domain. After First Night, most of the events are free to the public to encourage attendance, but a selection of the performances include ticketed events as well; tickets generally run less than $40 each and tickets sold the day of the performances are $25. The program for the festival is announced each October, giving visitors plenty of time to decide which performances they wish to see and acquire tickets. However, much of the fun of the festival is discovering the new and unexpected, and taking in performances that you might not otherwise encounter. The lineup of events at the Sydney Festival has been called kaleidoscopic, as they run the full gamut of performing and visual arts. Some of the most popular shows, for example, are those at The Famous Spiegeltent in the Festival Garden. The tent itself, a large structure made of wood and canvas, and decorated with mirrors, brocade, velvet and stained glass, dates back to the 1920’s and has traveled around the world, hosting an impressive list of acts. The tent hosts performers in all genres during the Sydney Festival, including a traditional Spiegeltent act combining: cabaret, circus, magic, music and dance. Another highlight of the 2013 festival will be the “Semele Walk.” Bringing together fashion opera and chamber music, this show is bound to draw worldwide attention. Designer Vivienne Westwood, known for her eclectic and boundary-pushing designs, will be clothing models who will strut a 90-foot catwalk to the sounds of Haydn’s opera “Semele” as performed by the Sydney Philharmonia Choir and the Berlin chamber music ensemble Kaleidoskop. And for fans of unusual acrobatic acts like “Cirque du Soleil,” the Festival offers another cutting-edge troupe, Circolombia, a Latin American team of acrobats who tell a gritty, autobiographical story through daring feats of athleticism. Of course, not all of the Sydney Festival acts push the boundaries of self-expression. Many mainstream acts are expected to join the lineup as well; in the past, the lineup has included Brian Wilson of the Beach Boys, Grace Jones, Al Green and Big Bad Voodoo Daddy, among others. If you happen to be in Sydney during the first three weeks of January – or you’re trying to decide when to finally take that trip you’ve always wanted to Australia’s most famous city – then don’t miss the Sydney Festival. No matter what your taste in music or art, you’re sure to find something that appeals to you, and discover new experiences that you never thought possible. Guest article from Michelle Benson who is a travel writer and resident of Sydney. She has a degree in music appreciation and tries to catch as many acts as she can during the annual Sydney Festival.